Painting/Interior Decorating business focusing on contemporary and traditional wall finishes in addition to furniture refinishing and color & design consultation. I create Exuberant Art for Joyful Living. Original paintings and reproductions available. Inspired Ornamental artisans collaborate with architects and designers to guarantee that all customer requirements are captured accurately ensuring that the design is met with 100% customer satisfaction – every time, from the simplest design to the most elaborate. They bring uniquely inspired ideas and designs of architects, designers and home owners to life in Boston and all of New England. The owners of Inspired Ornamental have built the best team in the industry with a combined 50 years of experience in the decorative plaster field. The artisans still use traditional methods of producing and installing decorative plaster, in fact many of the same methods that were originally brought from Europe to this country are still being used today. Inspired Ornamental offers a vast array of services. 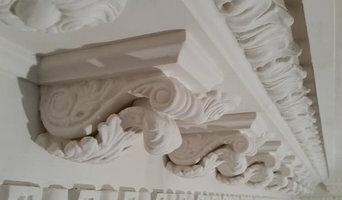 Our team specializes in new custom decorative and ornamental plaster moldings, restoration of existing plaster works, historic preservation, decorative plaster ceilings, plaster ceiling medallions as well as model and mold making. They have created models for everything from small pre cast items such as balusters to large scale models for fiber glass exterior molding and out door kitchens. The Inspired Ornamental team has designed and installed hundreds of projects throughout Boston's Back Bay, Beacon Hill, the South End and all the surrounding communities. Our mission is to offer inspired custom decorative and ornamental plaster works that meets and exceeds every customer’s expectations. 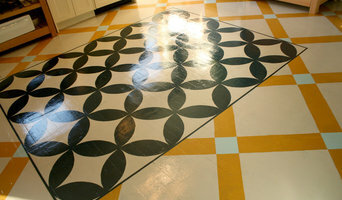 If an architect, designer, decorator, or client can dream it, Inspired Ornamental can create it! We are a company of artists that create beautiful decorative designer finishes to compliment your home or place of business. Tamara Wolfson, owner and founder of A+Murals, is a one-of-a-kind artist who can transform your home or business into a complete work of art with Trompe L'oeil, Murals and Faux Finishes. Her murals and finishes grace the best homes in the Greater Boston area, from classic Boston vistas gracing a two-story foyer to a wall-size tropical paradise livening up a travel agency. Tamara works one on one with a customer to match tastes from traditional to contemporary. 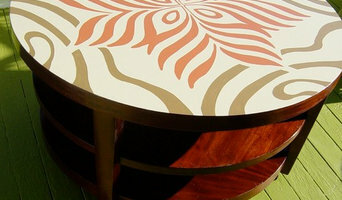 Custom furniture finishes, such a grand piano or bathroom vanities, can add a beautiful touch to your decor. Call for personal consultations. I am an Abstract Painter and Designer. I strive to make my clients satisfied and know that their home, will be the place they will always want to be at. By bringing in fresh design ideas, making sure they compliment your daily life style and show your personality . Using colors, furniture, paintings and much more. Will take your home from special - to EXTRA special. Let's make something beautiful! 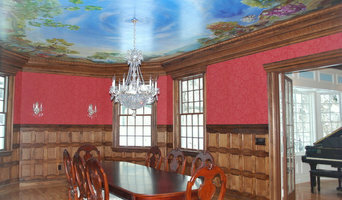 ORIGINAL MURALS and wall treatments by interior design artist, muralist and color expert Henri Koshen. Using visual art and color to transform public and private spaces. I specialize in creating custom mosaics and love working with my clients to create pieces that they love! I am dedicated to creating sophisticated and modern mosaics that will enhance the space you live in. BlackBeak Studios turns your vision into an inspiring reality. As an artist who loves to collaborate, I look forward to working with each client to make their ideas for a mural, statement wall or decorative painting finish come to life. I am a contemporary painter, interested in interpreting subject and emotion in an abstract and intuitive way. I am interested and excited by the process, by daring paint application, by color, texture and the element of discovery. My paintings range from mid size to large format. Boston-based artist specializing in colorful, contemporary landscapes. Many of my landscapes are inspired by the beauty of Maine, where I live and paint in the summer. (In September of 2017, Maine Home + Design named me one of five "standout artists to keep your eye on.") My clients love how my color-drenched canvases add a warm, cheerful focal point to any room. I'm always happy to work with you or your interior designer to create a custom painting for your home. Living with art you love is one of life's pleasures. 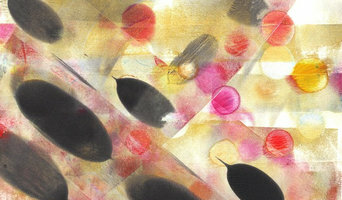 Art consultant Jacqueline Becker's services begin with getting to know you and your environment. Then the magic begins, as Jacqui presents a custom created art gallery in the comfort and privacy of your home or office, making it fun and easy to choose art you love. Michael Healy’s Artistic Decorative Hardware. Michael’s Unique Door Knockers ™, Best Sellers, DogKnockers®, Unique Monogram Door Knockers™, Unique Doorbell Ringers™ and Authentic Solid Bronze Plaques™ grace the entry ways of hundreds of thousands of homes worldwide. All of our collections are handcrafted in solid brass and bronze and signed by the artist. Large to small scale abstract poured art resin on canvas, wood panel & plexi glass...(ALSO ANY TOP SURFACE...counter tops & bar tops). Home, Business, Office, Commercial, Hospitals, Bars, Night Clubs, etc.